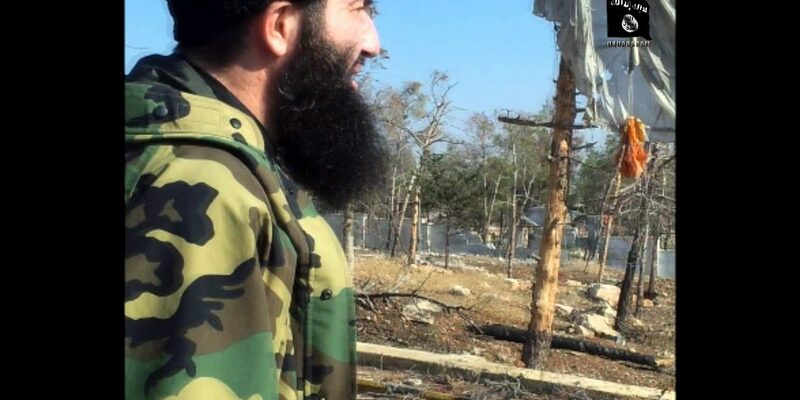 Beladusham, the website close to Chechen fighter Sayfullakh Shishani, has published a eulogy following his death on Thursday during a battle against Syrian forces in the Aleppo Central Prison. The story of Sayfullakh, Umar Shishani’s former second-in-command in the faction Jaish al-Muhajireen wal-Ansar, shows the diversity of opinion and loyalties among Chechen fighters in Syria. Like Umar, Sayfullakh was an ethnic Chechen from the Pankisi Gorge in Georgia. Unlike Umar, according to sources, he had no fighting experience before he went to Syria. 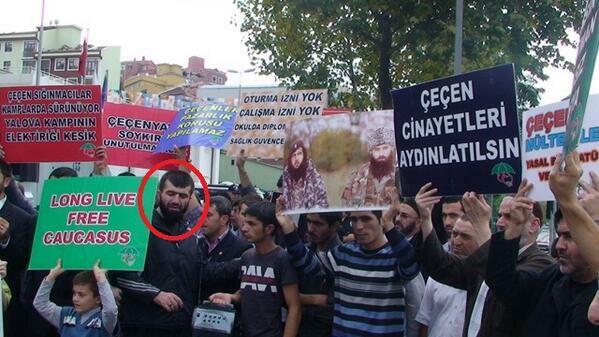 Video and photographic evidence indicates that Sayfullakh did not go directly to Syria but spent some time in Turkey. The eulogy, written by Abdul Khalim Shishani, offers some more insight into Sayfullakh’s past. He is described as an “unusual character” who lived half his life as a criminal and racketeer before turning to religion and traveling to Syria. Sayfullakh hit the road immediately. Right from the start, he was directly involved in the hottest and unequal military operations and became known as a fearless lion. Several times he got injuries of varying severity. He became known throughout the entire Russian-speaking Ummah who were looking for news of Sham, thanks to his fiery video messages to them. Some of them made fun of him and some slandered him. Rumors that he was a “common jahili and deceiver”, which for my part I heard from “common jails and deceivers” before I got to know him, quickly dissipated after my personal dealings with him. He gave huge attention to audio recordings that he listened to in the car when he was on various journeys and had time, he remembered a lot and practiced it himself and encouraged others by retelling it. I have to admit that I myself was once one of those who said that he had a noticeable love for fame and for leadership. When I was asked about him until the fitnah between him and Umar, and after it, I told the guys that Sayfullakh is a good brother, simple and eager to work for the cause of Allah, but his desire for fame and leadership is ruining it, despite his sincerity in this case and justifying it all to benefit the religion of Allah … But praise be to Allah, my opinion of him was wrong and baseless and finally I saw this 2 months ago, when he told me about his intention to join Jahbat al Nusra, his manhaj is not in doubt. I praised Allah and asked him for forgiveness for my words and for his opinion about him. With this step, he proved that he does not care about being an amir and that he was ready to be a subject for the sake of Allah, he proved that he was not concerned about fame and money that intelligence services and government scholars would be willing to offer him for rejecting and alienating from the Jamaat and he was sincerely seeking the revival righteous Caliphate without flirting with the infidels and hypocrites in their games. There are hundreds of interesting cases and examples of his courage and sense of humor and relationship with the brothers, but I think the brothers of his Jamaat are working on that, and we on our part are adding to it. Let the ummah know his heroes, how they lived and how they parted with this world….